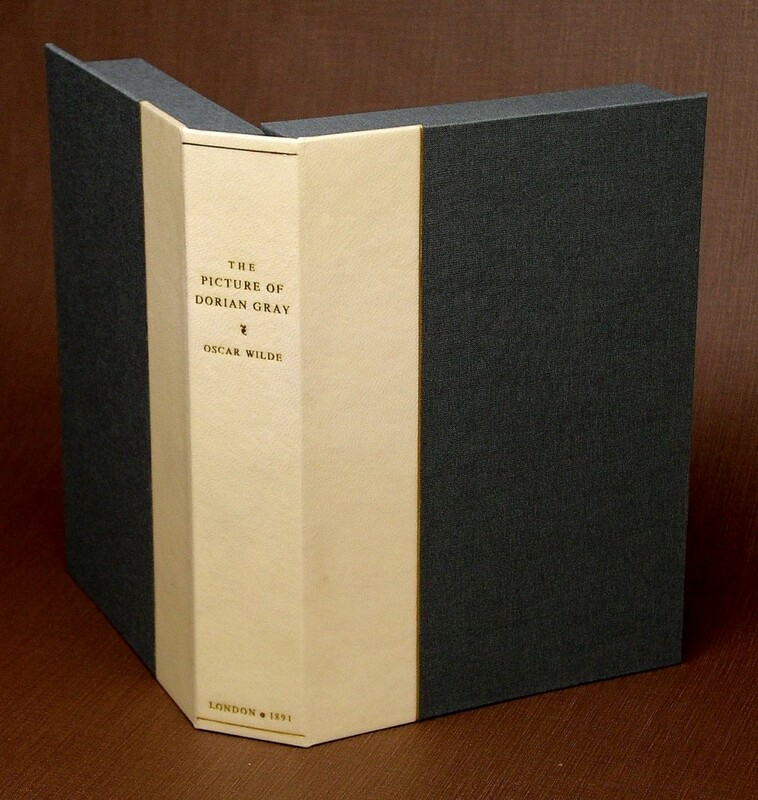 Leather is the material most associated with fine bookbinding. Goatskin and calfskin are the two most commonly used leathers though others are employed as well. Goatskin is very durable and resists marking. It has a pronounced grain pattern that varies with the breed of goat and its place of origin. Calfskin is equally durable, but with a smooth surface showing little or no grain. It is softer than goatskin and is more easily marked. All leather used in our workshop has been tanned specifically for bookbinding. The skins are aniline dyed, rather than pigment finished, allowing the natural beauty of the leather to shine through. Because dying is translucent rather than opaque, as with pigment finishes, there is some variation in the color from skin to skin. While other leather is less costly, it will deteriorate in a distressingly short amount of time as can be seen by observing the great number of broken leather-bound books from the 19th-20th centuries, caused by poor quality leather that was excessively thinned. 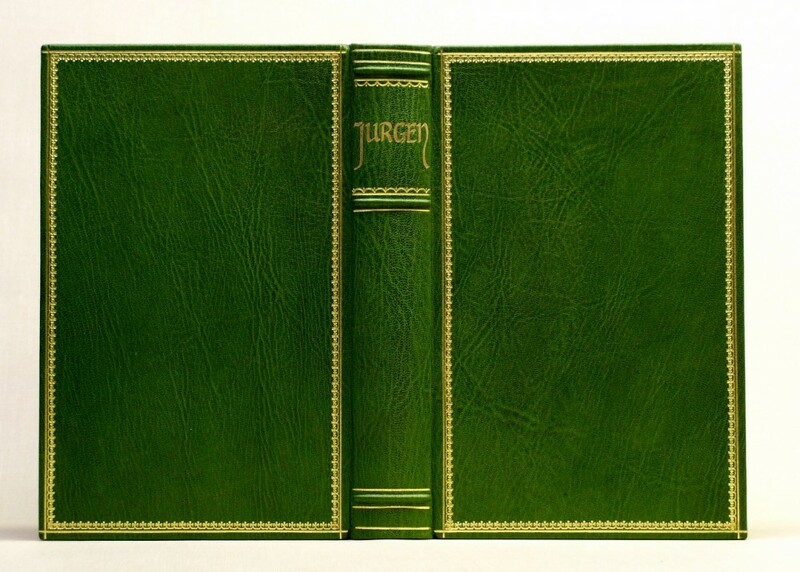 Full leather binding for Jurgen with gilt decoration and original calligraphy for the titling. Leather-bound books may be “full leather”, or entirely leather covered on boards and spine; “half-leather”, with the spine and corners covered in leather and the balance of the boards covered in plain or marbled paper, or cloth; or “quarter-leather”, with the only the spine covered in leather and the balance of the boards covered in plain or marbled paper, or cloth. 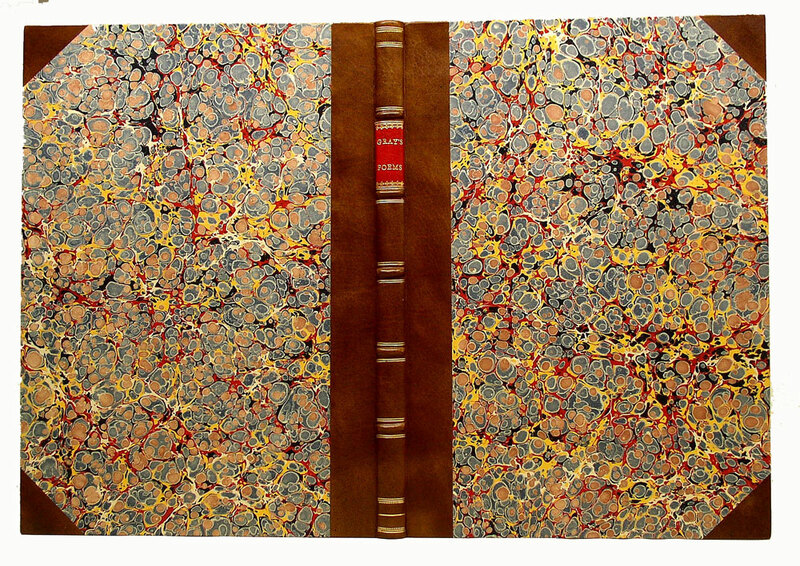 Half leather binding with marble paper for Gray’s Poems. Vellum, also known as parchment, is also produced from animal skins using a different process than that which yields leather. Again goat and calfskin may be used, as well as deer and other animals. Vellum is smooth and harder than leather. It varies in shade from pure to creamy white and is occasionally dyed in color. Deer vellum is darker in color often with considerable variation even within a single skin, making it useful to replicate the look of historical vellum bindings. All vellum is very sensitive to changes in temperature and humidity. The techniques used in vellum bindings are different from those used with leather, which help to mitigate its tendency to warp, though careful storage of the bound volume in a stable environment continues to be important. Quarter vellum drop spine, or clam shell, box. 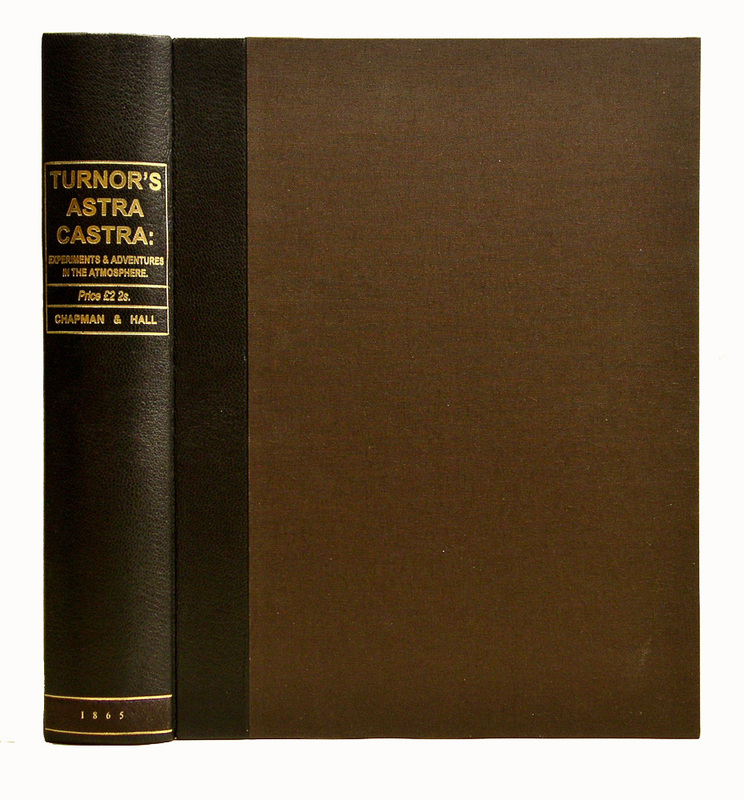 Quarter leather binding with cloth for Turnor’s Astra Castra.